Butler Creek's magazines are constructed out of an extremely durable polymer that is built to last. 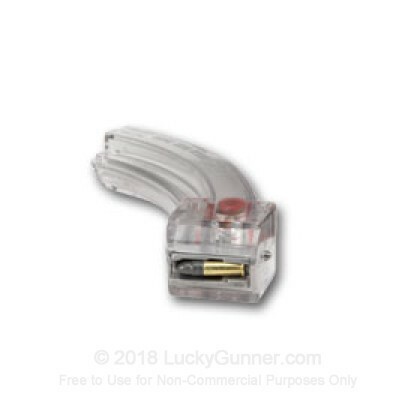 With a 25 round capacity, this magazine is easy to handle and reload and is compatible with 10/22 platforms including the most common Ruger 10/22's. 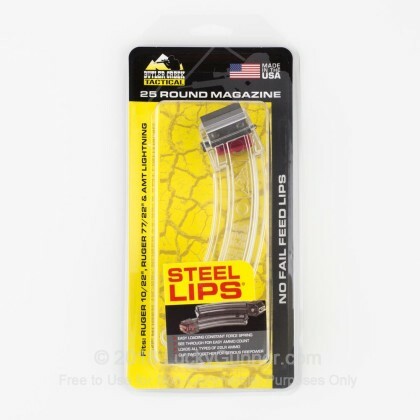 This Steel Lips mag utilizes a steel feed rail system designed to work with all 22 LR ammunition. These magazines are designed to work well with a Ruger 10/22, 77/22, and AMT Lighting 22 Long Rifle. without a doubt the winner in price and received them within a few days. I like what I purchased they seem to be working well for now. I have not used them to much. I am a little surprised at the color I don not know if the smoke color is very light or I was sent the wrong product?? Q: Will this magazine work in a Smith and Wesson MP15 style rifle? A: Hello Jonathan, These 30 round magazines by Butler Creek are designed for the Ruger 10/22 rifle and will not fit an MP15 style rifle. You will need AR style magazines for your rifle.